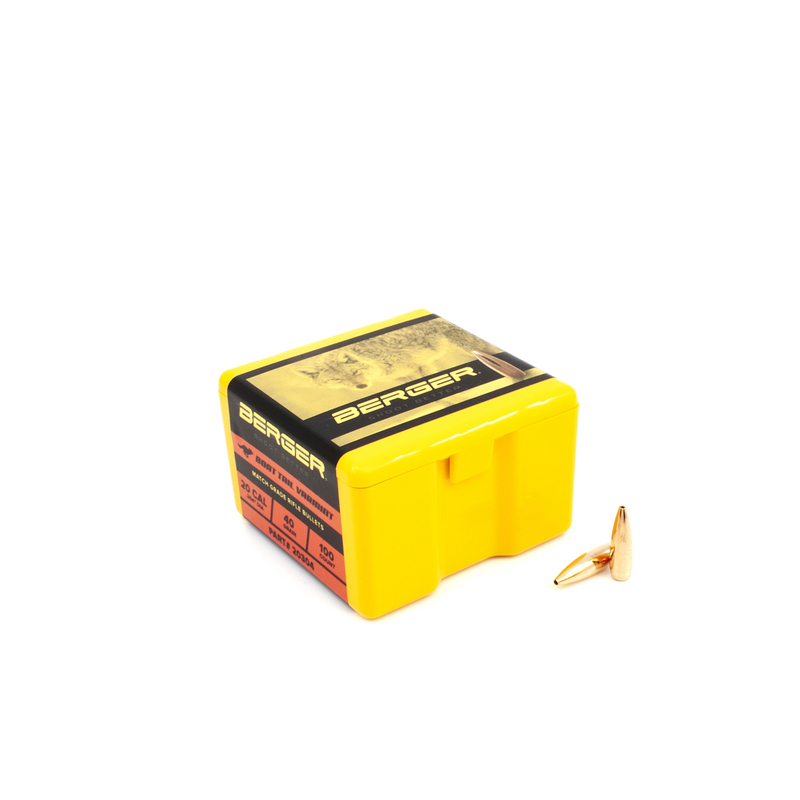 Varminator Hollow Point Flat Base - .204, 32 Grain - Box of 100 VARMINT AND PREDATOR CONTROL ACCURATE – EXPLOSIVE – LEAD CORE. Back by popular demand and featuring the explosive DETON-A-TOR™ core. This lead-core classic hollow point design utilizes a scored nose cavity. A thin, tapered copper jacket fragments violently on impact vaporizing any varmint in its path. 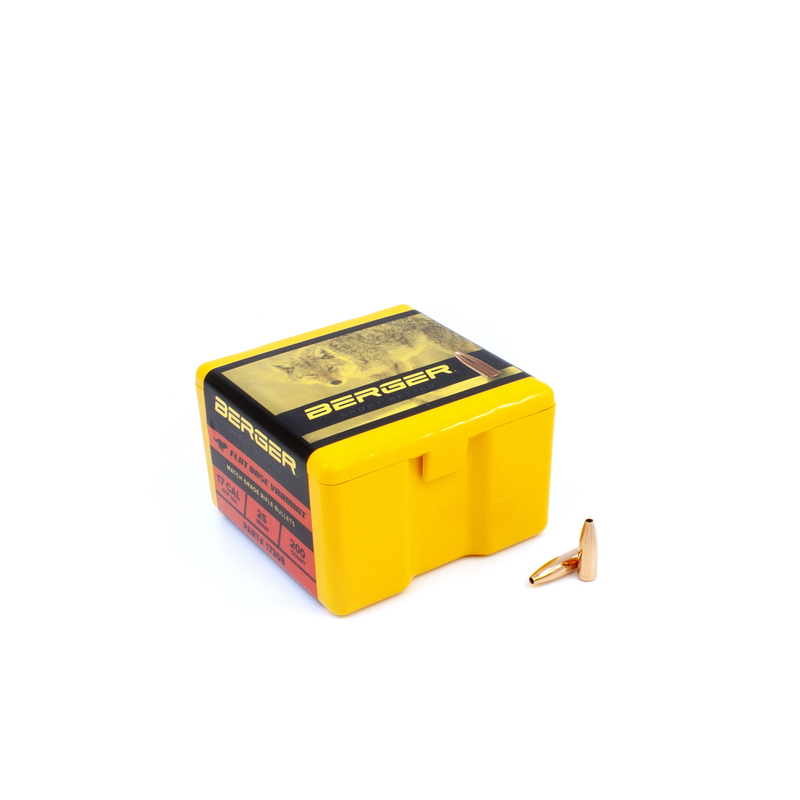 Varminator Hollow Point Flat Base - .224 - 40gr - per 100 VARMINT AND PREDATOR CONTROL ACCURATE – EXPLOSIVE – LEAD CORE. Back by popular demand and featuring the explosive DETON-A-TOR™ core. This lead-core classic hollow point design utilizes a scored nose cavity. A thin, tapered copper jacket fragments violently on impact vaporizing any varmint in its path. 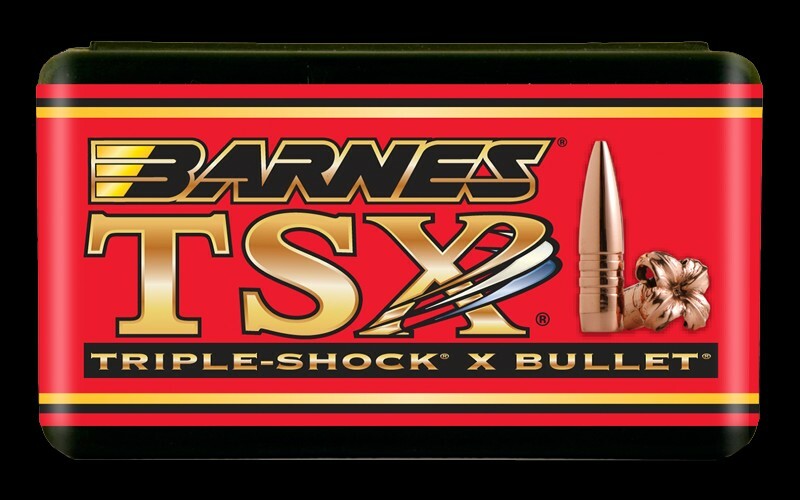 TSX Flat Base - .224, 55 Grain - Box of 50 100% Copper TSX - The TSX was introduced in 2003 and has become Barnes’ most popular hunting bullet. 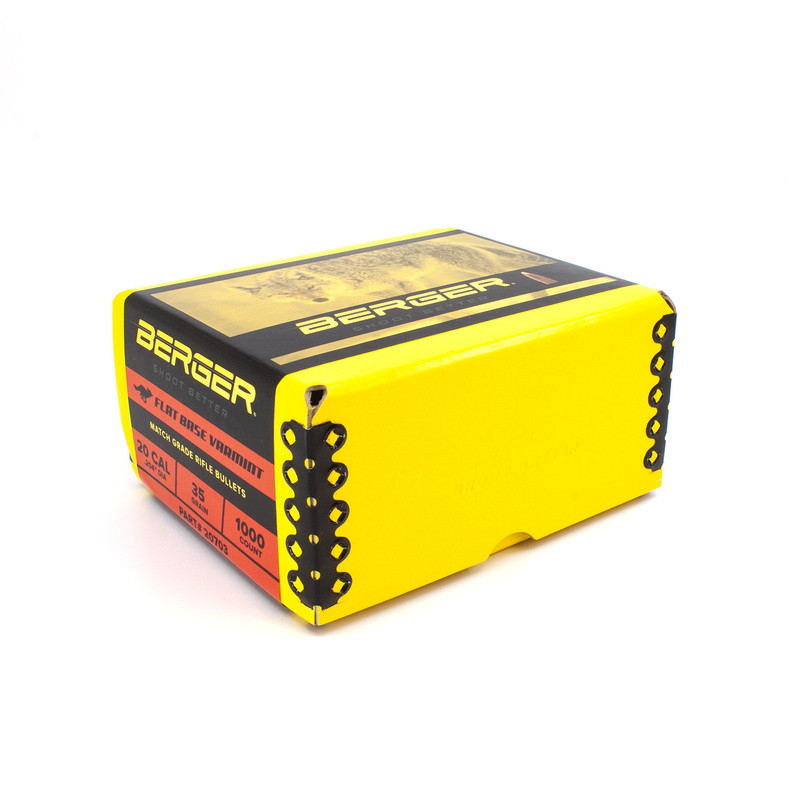 The TSX has gained worldwide recognition as one of the deadliest, most dependable bullets you can buy. Try these all-copper bullets and realize the added benefits of improved accuracy, reduced barrel fouling and increased velocity. 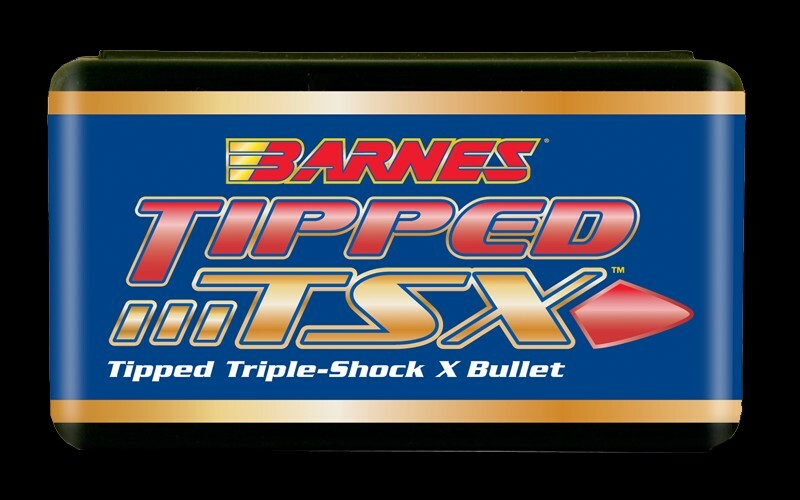 100% Copper TSX - The TSX was introduced in 2003 and has become Barnes’ most popular hunting bullet. The TSX has gained worldwide recognition as one of the deadliest, most dependable bullets you can buy. Try these all-copper bullets and realize the added benefits of improved accuracy, reduced barrel fouling and increased velocity. 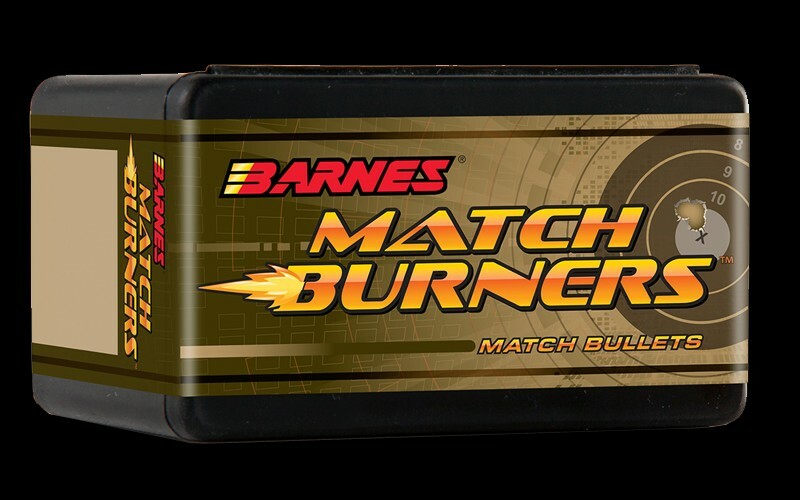 Match Burner - Competitively priced lead core match-grade bullets. 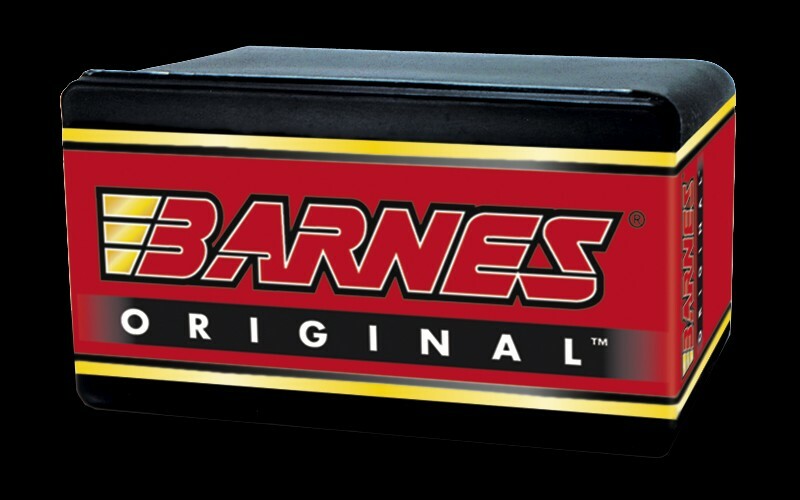 Competitive shooters looking for that outstanding match bullet owe it to themselves to try Barnes Match Burners. Tipped TSX Rifle Bullets - The new Tipped TSX features the same 100-percent copper body with multiple rings cut into the shank. 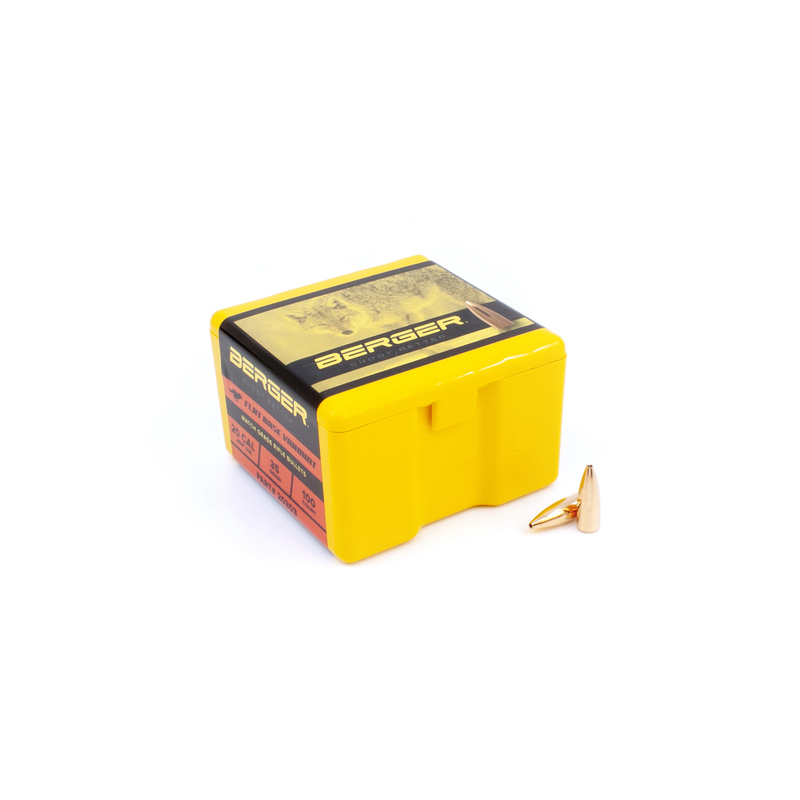 Instant expansion and perfect penetration ensures cleaner, quicker kills, with an added polymer tip that boosts BC and improves long-range ballistics. 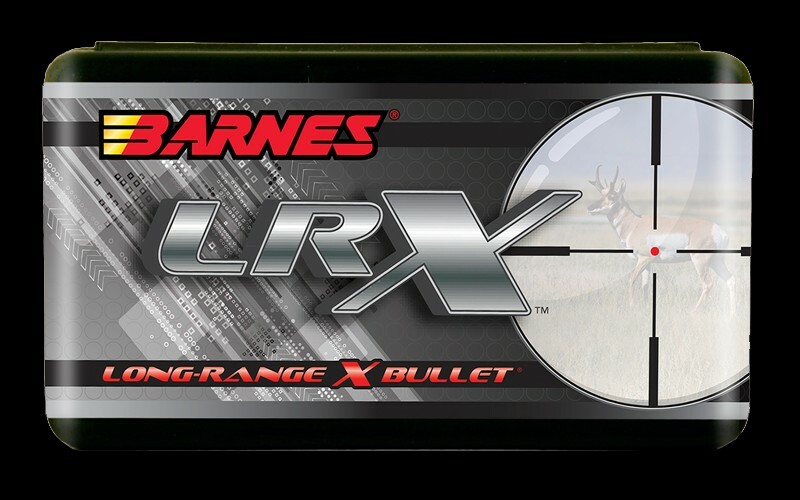 LRX Rifle Bullets - The LRX features a long profile and boattail design that delivers match-grade accuracy at long range with an incredibly high ballistic coefficient and terminal performance that delivers the quick, clean, ethical kills you’ve come to expect from Barnes. 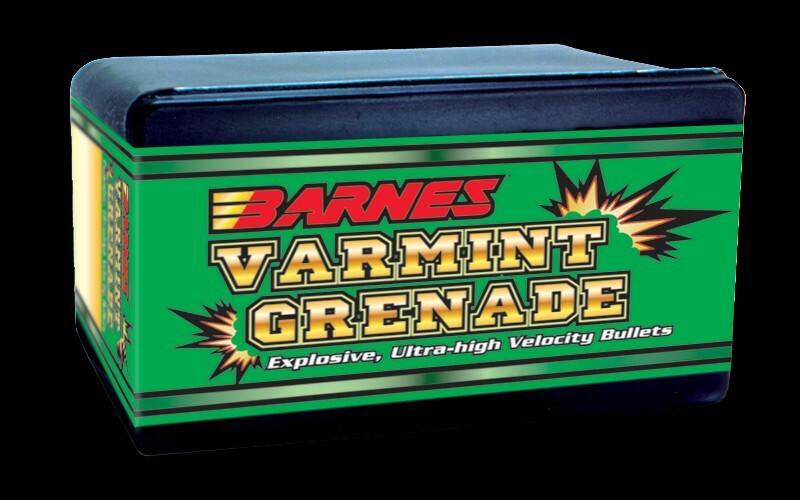 Varminator Hollow Point Flat Base - 6mm - 58gr - per 100 VARMINT AND PREDATOR CONTROL ACCURATE – EXPLOSIVE – LEAD CORE. Back by popular demand and featuring the explosive DETON-A-TOR™ core. This lead-core classic hollow point design utilizes a scored nose cavity. A thin, tapered copper jacket fragments violently on impact vaporizing any varmint in its path. 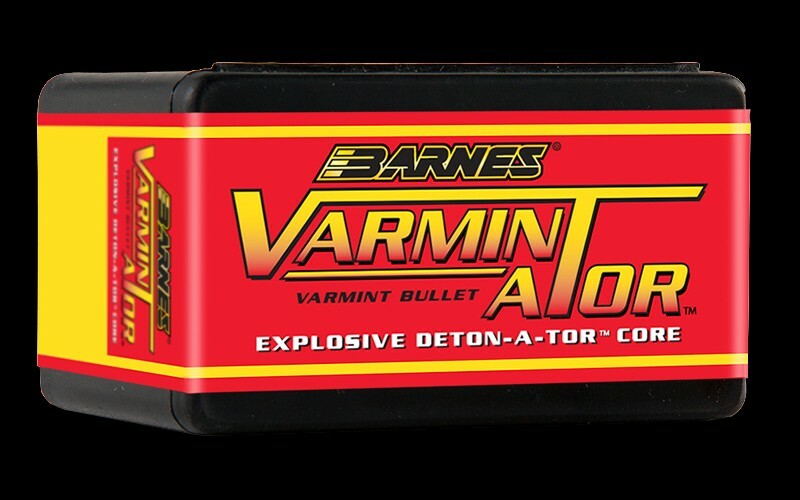 Varminator Hollow Point Flat Base - 6mm - 72gr - per 100 VARMINT AND PREDATOR CONTROL ACCURATE – EXPLOSIVE – LEAD CORE. Back by popular demand and featuring the explosive DETON-A-TOR™ core. This lead-core classic hollow point design utilizes a scored nose cavity. A thin, tapered copper jacket fragments violently on impact vaporizing any varmint in its path.